9 A man’s heart plans his way, but the Lord determines his steps. Life is a journey. 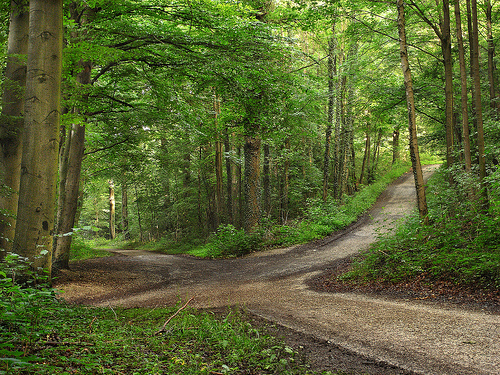 As a follower of Christ, we desire that every path we take be exactly the path the LORD wants us to take. In Proverbs 16:9, we are reminded that a man’s heart plans his way. Each of us chooses the way that seems right to us in our heart. But the problem is that our heart can deceive us. Experience and the Word of God teach us that our heart is deceitfully wicked (Jeremiah 17:9). Our heart by itself cannot be trusted. In Psalm 37:4, we learn that if we take delight in the LORD, He will give us our heart’s desires. The point of that verse is NOT that we will get everything we want. The point of that verse is that when we delight ourselves in God, He changes our desires so what we desire is what He wants us to have, the things that are best for us. When our heart is in sync with the heart of God, we will be on the right path. How do you get your heart in sync with God’s heart? Take a look at the above list. Which of the action words above do you need to put into practice in your life? How does the LORD determine our steps? As we are seeking to follow the LORD, there is comfort in knowing that the LORD cares about where we go, and He wants to help us get where He wants us to be, which is the best place for us to be. And He ultimately determines our steps. How does He do this? First, God is sovereign. There is nothing in life that happens that He does not either cause or allow. He is amazingly aware of everything that happens everywhere at all time. He works to accomplish His purposes. Let me give you a recent example from my life. My wife and I were returning home from Cancun, Mexico on a Saturday. We had a noontime flight, and were scheduled to be home about midnight. When we arrived at the airport, we found out that our flight was delayed by two hours. This delay was going to cause us to miss our connecting flight, and therefore not get home until the next day, which was going to cause us to not be at church on Sunday (and I was scheduled to preach!). We had a choice to make about our attitude. We simply stated, “The LORD is in charge of our travel home” as a prayer to the LORD and a reminder to ourselves. We calmly stepped up the ticket agent, who was incredibly helpful to change us to another airline (who had recently merged with the airline we were supposed to fly). This new flight itinerary got us home two hours early! We were able to get home in time to tuck our kids into bed. We are convinced that the LORD wanted us home on Saturday. We are convinced that the LORD was pleased that our attitudes were calm and cheerful to the ticket agent (unlike the frustrated couple to their ticket agent right beside us). And think about this: God sovereignly provided for the merger of two airlines months ago, which gave us an early flight home! God works in ways you don’t even realize to provide for your needs. In addition to His sovereignty, how else does God determine our steps? 1. God speaks through His Word. When you read the Bible, you are hearing from God. So read it a lot. 2. God speaks through prayer. The still, small voice of the Holy Spirit speaks to our heart and mind, revealing the steps God wants us to take, always in line with His Word. 3. God speaks through His people. You may hear a sermon, a Bible study, a word by another Christian, and think, “That is speaking to me about my situation.” This is how God speaks to us through others. 4. God speaks through circumstances. Life events happen. Circumstances occur, and we realize: “God is trying to tell me something.” Just like prayer, these circumstances must line up with God’s Word. To know the steps the LORD wants us to take, we should look for the convergence of these four ways that He is speaking to us. When we see them all line up, we know the path He wants us to take. Think about a time you knew God was speaking to you. Did you follow the path He laid out for you? Describe the outcome of your decision. Look back at the words above about the sovereignty of God and the four primary ways that God speaks to us. How will these truths help you to listen to God and follow His path, and to trust Him to determine your steps?